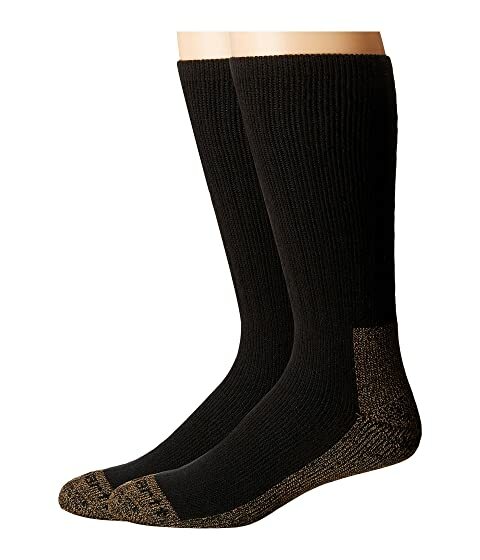 Keep hardworking feet comfortable with the Carhartt® Full Cushion Steel Toe Synthetic Work Boot Socks 2-Pack. Sold as a two-pair pack. Moisture wicking fibers keep feet dry and cool. Coralast® fibers is abrasion resistant.